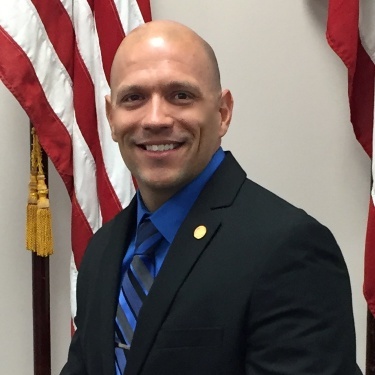 Jordan Garza is a law enforcement and community outreach coordinator for the Department of Justice; United States Attorney’s Office, where he has been recognized by the US Department of Homeland Security for distinguished services and dedication for voluntarily deploying during Hurricane Harvey, Irma, Maria, and the California wildfires to provide assistance to disaster survivors. He was also recognized by Attorney General Jeff Sessions and US Attorney Justin Herdman for his continued efforts to combat the opioid epidemic and for developing and implementing strategies to prevent and reduce violent crime, resulting in Toledo becoming a National Public Safety Partnership site. Garza, a former US Army member who sustained a severe spinal cord injury while on active duty, persevered and continued his education at Military University where he earned his bachelor’s degree. He currently serves the community as a treatment team member for the Toledo Municipal Veterans Treatment Court, where he provides veterans justice outreach services and timely access to Veterans Health Administration (VHA) services.